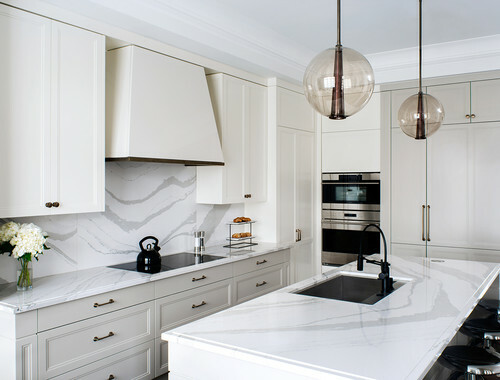 Passionate marble like engineered stone:Cambria Brittanicca White Cabinets Backsplash Ideas. Backsplash selection for gray countertop and marble like quartz . The intellectual and creative thinking about kitchen remodeling can be determined when white cabinets and matching backsplash round Cambria Brittanicca. In Cambria Brittanicca White Cabinets Backsplash ideas, it is easy to find out some natural lighter tone backsplashes and some browns and cool grays. Remember the new quote which is going around internet, Gray is new white in kitchen remodeling. So gray countertops are very fashionable. My style of combining basic elements at kitchen design is still same. I would like to touch the material and the characteristics of the backsplash first. Then, I would like to talk about the color and stain of the white cabinets in this article. Cambria Brittanicca White Cabinets Backsplash Ideas article guides you to visualize your kitchen in your remodeling ideas. The material of the backsplash can mostly be ceramic, glass and travertine. The type of the backsplash tile would be simple like rectangles; subway, or arabesque in fancy way. The result of using full high backsplash is being impressive and popular. 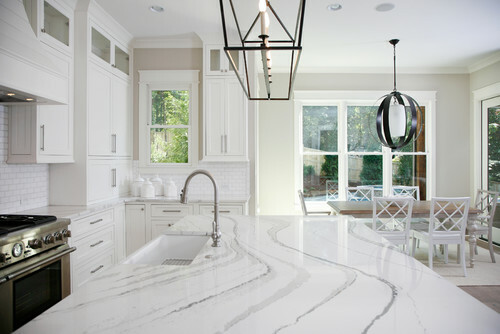 Infinity Flow: Marble Like Cambria Brittanicca Countertop covers very modern looking backsplash ideas for your project. The admiring creative designers work hard to pick the best combination on the marble like countertop, white cabinets and bascksplash. 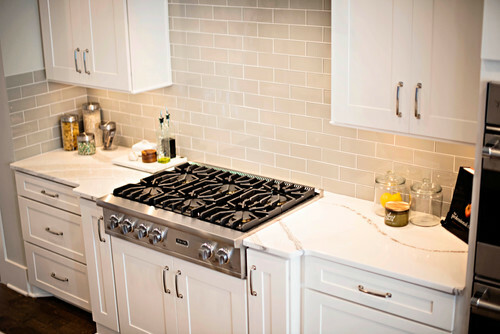 Here are some pictures of Cambria Brittanicca White Cabinets Backsplash Ideas. I am hoping these would be very helpful for your curious mind. Picture Credit: Distinctive Home Products. The Creamy white cabinets with Cambria Brittanicca Full High Backsplash and Cambria Brittanicca Island top and countertop. Refreshing and modern looking. Picture Credit: Construction Resources, picture taken by Barbara Brown Photography via Houzz. 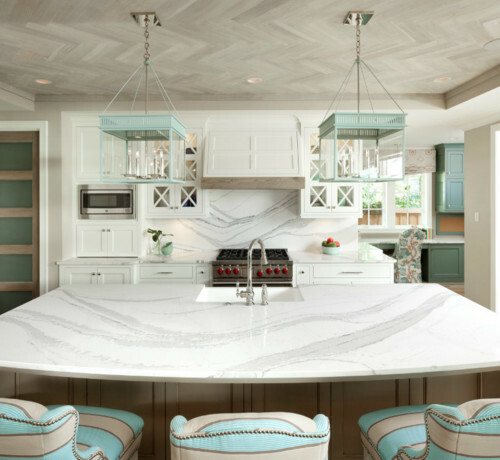 Traditional kitchen design embellished with Cambria Brittanica Island Top and White cabinets. Calm and happy. Stay tuned, I will be with you with the cabinet color, and subway backsplash details. Stainless Steel appliance is a good choice to complete the picture. Picture Credit:Frenchs Cabinet Gallery LLC., White Icing cabinets with clove finishes. Actually this kitchen is two tone countertops pictures but I dare to mention in my blog spot to show the beauty of Cambria Brittanicca Island Top in a transitional kitchen. Perimeter is Cambria Dunmore. The combination of Arabesque Tile insert and subway tiles are also very detail oriented to complete the kitchen remodeling. Picture Credit: Smokey Mountain Tops., I think glass subway backsplash and flowing countertop are the best buddies to go with white cabinets. I will update the information soon. Nice selection of colors. Picture Credit: Cambria., Benjamin Moore White Dove Cabinets, mesmerizing Cambria Brittanica used as Full High Backsplash, countertop and island top. Detailed with sea foam green pendant and chairs. The big wow goes to the ceiling. The ceiling looks like a herringbone pattern of a maybe 3 x 12 vein-cut limestone. It creates an amazing affect on the kitchen. If you would like to take your turn and drop a comment about Cambria Brittanicca White Cabinets Backsplash Ideas, please do not hesitate. Thank you for your collaboration.